This is the 15th anniversary of the International Electricity Exhibition of Iran which focus exclusively on the Electrical industry and ABI's official distributor, Hauber Company Ltd , will be presenting BoardMaster 8000 PLUS and the Compact Professional range. The objective of this exposition is to act as a comprehensive resource for the industry, its members, prospective business visitors and customers by providing in-depth information about the industry and the latest trends influencing its progress. Being attended by prominent electrical companies, equipment manufacturers and vendors, the expo offers participants the opportunity to network, learn about new technologies and techniques, exchange ideas and discuss about industry trends. All participants can benefit from great exposure to enhance their revenue channels and increase profits as this exhibition provides fabulous opportunity to reach out the maximum electrical professionals of Iran and world. 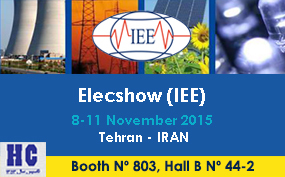 For more information about the event, please visit www.elecshow.ir.